On any given day, millions upon millions of men and women are looking for help in the world of dating. They want to find that one special person. Maybe their soulmate. Or maybe they just want someone to hang out with, and to have fun with, without it turning into a serious relationship. In either case, many people today reach out to dating coaches to help them find that perfect person. But always remember, buyer, beware! For the past 29 years, number one best-selling author, counselor and life coach David Essel has been helping men and women in the world of dating, by getting them prepared, organized, and focused on the type of person you’re looking for. 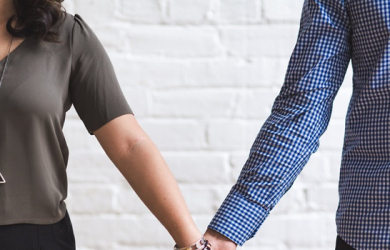 As someone who has worked with many as a dating coach/counselor in the past, David loves the fact that people are reaching out for help, but there’s one type of coach you should never, ever, ever work with. Most coaches in the world of dating, run a program filled with integrity. Their purpose is to help the client get organized in regards to what type of person they ’re looking for, the type of people that would never work for them, as well as giving assistance in the writing of their profile especially on internet dating sites. But the other day, I read an article in the New York Times about a dating coach that has zero integrity, who is actually encouraging her clients to lie to prospective dating partners, which of course is going to backfire big-time. And how do we know that this coach has zero integrity? Because she pretends to be the client, in the initial interactions with potential partners on dating sites. This is ridiculous, it concerns me greatly, and it’s probably one of the most unethical moves a person in the world of coaching or counseling could ever do. So according to the article, she interviews the client, gets to know them, and then goes out into the world of internet dating online and pretends that she is that client. So she is lying, to potential partners, by saying that she’s someone that she isn’t and the clients that are paying her are also lying, because once they do start to interact personally themselves, something they should’ve been doing since the beginning, most would never tell this person that they’re interested in that they’re not the ones who have been conversing with each other in the past. Do you believe this is even legal? If I was her client, I’d be disgusted with her practice. I would tell her it’s unethical. If I was your client and did not reveal to a potential partner that it wasn’t me who has been communicating with them over the past several days weeks or months, but it was a dating coach, how do you think that would go over with this new potential partner? If I was a potential partner, and I met someone on a dating site who told me that they did not actually interact with me, that it was a dating coach they hired in the beginning, I would kick them out of my life faster than you could believe it, because now they’re starting a potential relationship by lying ! I believe a great dating counselor or coach should be here to support their client, but not pretend to be the client. This is called a lack of integrity, this is called a lack of ethics. I wholeheartedly agree that millions of people could benefit greatly by having a dating coach or counselor, but I 100% disagree with the way this person, this female dating coach is going about it, by encouraging her clients to lie, and by her lying to potential partners by saying that she’s someone she isn’t. If you come across this type of person, leave them as soon as possible and find a dating counselor or coach who actually has integrity. His 10th book, another number one bestseller, which has a complete chapter and what it means to be ethical in the world of dating and love, is called “focus! Slay your goals, the proven guide to huge success, a powerful attitude and profound love. David Essel, M.S. is the best selling author of 9 books, a counselor and master life coach and inspirational speaker whose work is endorsed by celebrities like Jenny McCarthy, Wayne Dyer, Kenny Loggins and Mark Victor Hansen. David accepts new clients monthly via Skype and phone sessions from anywhere. How to Positively Turn Back Time in Your Marriage?